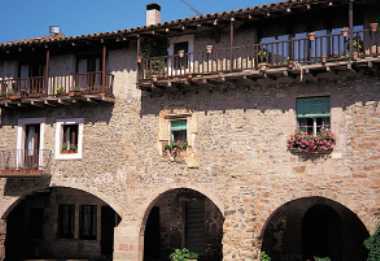 Catalunya Holiday Apartments, Holiday Apartments, Vacation Apartments, Holiday Apartments Rentals, Vacation Rentals, London Apartments, vacation rentals, vacation homes in Italy, Spain, Greece, Belgium and more. Situated in the same porticoed square as our other property in Sta Pau, these two properties belong to the same owner and have been recently been renovated and furnished. This establishment makes for a wonderful holiday home away from home.